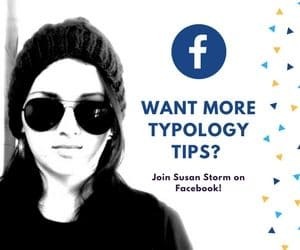 Almost two years ago I wrote an article about which dog breed matches your personality type. 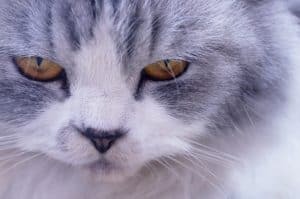 Since then I’ve gotten repeated requests to write a cat breed article. 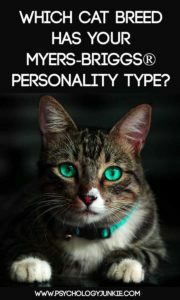 I’ve never owned a cat so I was hesitant to do this, but I finally buckled down and researched cats as well as spoke with cat owners to find out what kind of cats may have similar personalities to different Myers-Briggs® types. 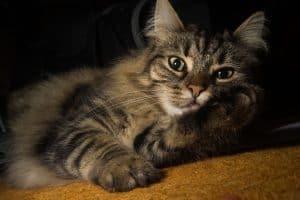 Obviously this article is mainly for fun and can’t be taken too seriously, but I still think there are some remarkable qualities that these cats and types have in common! I hope you enjoy! The British shorthair is reserved, loyal, and intelligent, much like the ISTJ. Something in their stately demeanor echoes back to the Victorian era, where they were once the only pedigreed cats available. 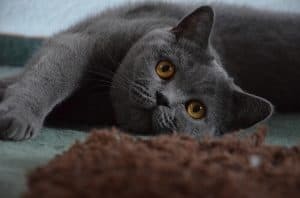 ISTJs are known for their ability to quickly recall facts and details, and the British shorthair also has this unique ability. They are easy and quick to train, recalling what they’ve learned at a moment’s notice. They also bond closely with their families and will remain loyal to the end. That said, they don’t especially like to be carried or held in laps for long periods. They need their alone time to rest, think, and play. The Persian cat is known for its gentle, kind-hearted, loyal demeanor. They are extremely bonded to their family members and will dote on them lovingly. They prefer their environments peaceful and serene, and they are known for their exceptional manners and elegance. They are unlikely to climb on curtains, jump on the dining room table, or make a mess around the house. They like things orderly and their routine consistent and stable. While they appreciate kindness and affection, they also greatly enjoy their alone time. 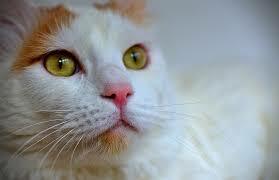 The Li Hua cat is intelligent, friendly, and responsible. This cat has no problem protecting and organizing family members, or other cats for that matter! According to Chinese folklore, the Li Hua’s owner trained him to fetch the daily paper. Li Hua’s are known for their memory, knowledge, loyalty, and liveliness. These aren’t cats that want to sit around all day on the couch. They are talented hunters, always searching for more responsibility and challenge. The German Rex is affectionate, loving, and loyal. 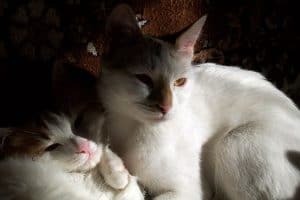 These cats want to be surrounded by their loved ones as much as possible, and they keep a watchful eye on everyone in their family, ensuring even the youngest family members are given attention and care. They are active and intelligent cats, in fact, some of these cats have learned how to perform acrobatic tricks on queue! German Rex’s don’t like to be left alone, they truly get their happiness and energy from being around their loved ones and interacting with them as much as possible. Like the ISTP, the lynx is private and intelligent, carefully considering all data before efficiently moving into action. 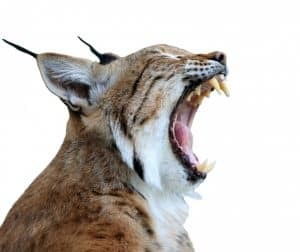 The lynx takes time to fully stalk and analyze its prey, considering it’s movements and behavior, and then acting with intense efficiency and grace to bring down the animal with its immense power. Like the ISTP who carefully analyzes (through Ti) and then acts gracefully and efficiently (through Se), the lynx knows how to be patient and when to act to make the most of the opportunity it has been given. Lynx’s are largely independent cats, they prefer to keep to themselves and roam the world forests without being tied down. The Anatolian cat is loving, quiet, and graceful. These breeds are often called “gentle giants” because despite their large size, they are extremely tender-hearted towards children and other animals. Anatolians are quiet and soft-spoken, softly purring or chirping instead of yowling like many other breeds do. That said, they also like to be active. They are extremely athletic and can jump to the highest places with astounding grace. They also enjoy exploring a variety of locations, and are even daring enough to play in water! Confidence and agility are the hallmarks of the rare Bengal cat. These cats need action and excitement, and can easily learn a variety of tricks. If they’re bored they may become destructive, pulling CDs out of the CD player or doing “parkour” around your home. 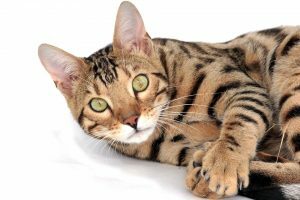 Bengal cats are stimulated by risk and aren’t afraid to play in the water, or even jump in the shower with you! They are not all brawn, though. These cats are remarkably intelligent, and enjoy puzzles that challenge their intelligence. Bengals also love attention and love, and enjoy curling up on your lap for some TLC. 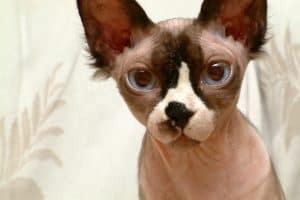 The Sphynx is a playful, exuberant, and friendly cat that never fails to make people smile. In a recent study by The Journal of Veterinary Behavior, the Sphynx was rated the most affectionate of all cat breeds. In fact, Sphynx’s are often used as therapy cats because of their loving, social nature. The Sphynx is also highly energetic and in tune with its surroundings. They love to explore, climb, chase, and play with puzzle and teaser toys. They crave external stimulation and excitement in their lives, but they can also enjoy snuggling up lovingly in their owner’s bed. 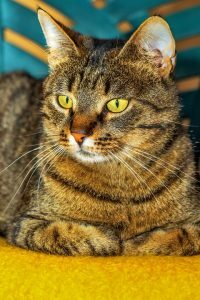 Turkish Vans are one of the most intelligent cat breeds of all, and they love to keep their mind stimulated by playing games and engaging in puzzles. They may not be the most graceful cats, but they make up for it with their wicked sense of humor. They enjoy experimenting with their surroundings and knocking things off shelves just to see what happens. They are curious cats who aren’t afraid of water like most other cats. In fact, they can easily learn to turn on faucets and may even lie in pools or bathtubs with cold running water on a hot day. Turkish Vans are independent cats. They don’t particularly want to be restrained or held. Their noses will actually turn red if they start getting upset and want alone time from people. 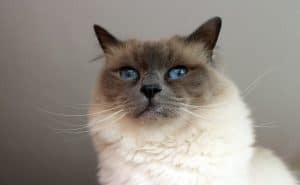 The Birman is a quiet, intelligent, and affectionate cat who has the pointed pattern of a Siamese but without the yowly voice. Birmans are endlessly curious and imaginative cats who love to explore, play, and cuddle. They like to keep their instincts and imagination stimulated by engaging in interactive toys and learning about other animals in their environment. That said, they also like their alone time and enjoy some quiet, peaceful time to themselves. They are gentle, calm, and sweet-natured and don’t like to push themselves on their owners. 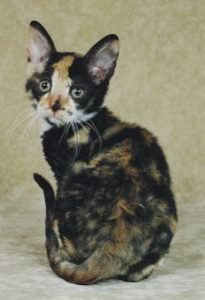 They are soft-spoken cats with loyal affection for their families and enough curiosity to be engaging and fascinating. 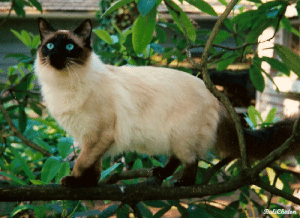 The Balinese is an endlessly curious, playful, and intelligent cat. They are known for their active minds, their agility, and their ability to quickly train themselves to learn new, novel tasks. Like the ENTP, the Balinese is interested in learning new things and exploring their environment in new and unique ways. Balinese want to be entertained on a regular basis, and despise boredom. If they aren’t mentally stimulated, they will become little troublemakers; unrolling toilet paper rolls or emptying tissue boxes. They also enjoy engaging with their owners, even sleeping in bed with them at night! Norwegian Forest Cats are highly intelligent and independent. While they enjoy living in a family, they also enjoy their freedom to explore and don’t need (or want) constant interaction. Norwegian Forest Cats learn quickly and are extremely alert. Like the INTJ, the Norwegian Forest Cat likes to stay mentally challenged and will enjoy learning new things on a regular basis. Puzzle toys and learning tricks keep them happy and engaged mentally. They also seem to intuitively know how to catch mice and rodents, in fact they were once used by Vikings as mousers on ships. Siamese cats are outgoing, intelligent, and domineering cats. They love to communicate and make their opinions known. 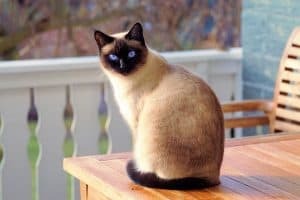 Cattime.com says of Siamese, “They will tell you exactly what they think, in a loud, raspy voice, and they expect you to pay attention and act on their advice.” Like the ENTJ, the Siamese cat has no problem taking charge and supervising the situation. They are also intensely clever and need to keep their mind’s busy with puzzle toys, teaser toys, and plenty of exercise. They are also intuitive hunters and are considered skilled mousers and ratters in multiple regions of the world. 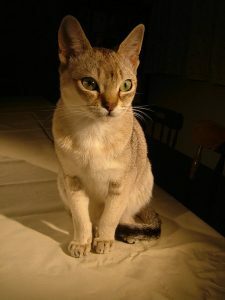 Tonkinese are enthusiastic, friendly, and intelligent cats. They enjoy staying close to their loved ones; riding on their shoulders or sitting on their laps and playing with toys. They also have strong instincts and are relentless hunters, intuitively sensing where to find their prey. 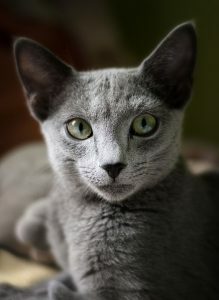 The Tonkinese can be stubborn and strong-willed, but they are also incredibly kind-hearted and generous with their owners. They will bring them mice as symbols of their love, and they will learn tricks eagerly. 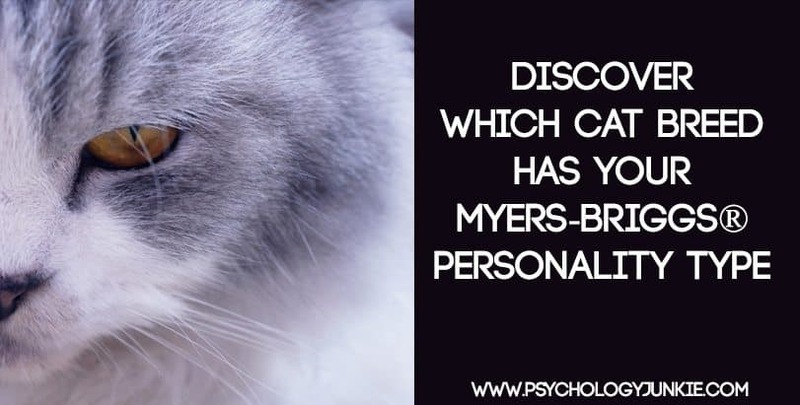 Which Dog Breed Fits Your Myers-Briggs® Personality Type? INFPs don’t like to show all their emotions actually! Because Fi is introverted in direction they generally keep their emotions more under wraps. I’ve read that IXFPs can cry more easily than other types because they are deeply affected by injustice and cruelty, but that they’d rather not. Generally they are very private about their emotions and only share them with people they trust in a very deep way. 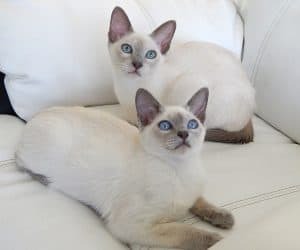 As an INFJ with two Tonkinese cats I can’t say that they are not ENFJ but INFJ, or simply that this breed is perfect heaven to live with if you area healthy INFJ with a strongly developed Fe. I can say, though, that I have a hard time seeing their Ti as inferior, as these ones could best any chess master in a heartbeat. After all the breed originally was bred as a combination of Siamese and Burmese, and they certainly brought that intelligence with them.Their strong will in particular reminds me very much of myself when I was a gifted child, although I have to admit they are not nearly as self-conscious and inhibited as I was, although I have noticed that much like INFJs they carefully choose who they will reveal themselves to, and they masters at knowing who has the sort of loving heart that can appreciate them. All in all, if you are an INFJ and have chosen not to have children, but want a being to nurture who will help you develop your Fe to heretofore unreached heights, they’re the cats to have.